Dr. John Holbert, Professor Emeritus of Homiletics, SMU, Perkins School of Theology, once said, “If you want to improve as a preacher, watch comedians.” I can’t help but remember his words as I sit on my sofa binge watching Comedians in Cars Getting Coffee. Over and over these guys keep talking about how they live for the laugh. The best comedians, of course, can make us laugh about mundane little nothings- they can even make us laugh about challenges or controversies. Over in Imokolee, you’ll find a UMC pastor who will tell you, if you ask him, that his favorite holiday is Halloween. Not the Sunday School answer. But on a night that plays with mummies and graveyards, he loves the idea of being able to laugh at death. I wholeheartedly agree- but I’d locate that thesis not at Halloween, but Easter. A few things have happened in the world since the last time Easter and April Fool’s Day collided. In fact- I’ve been a pastor for over 10 years now, and not only was it before my time, but it was before my parents’ time (1956)! There have been so many beautiful things that have happened- but there have been terrible things too. And in that time, every attempt to stand in the way of justice, every division wrought by war, every trespass done on and to the earth, every act or thought that leads to death… have all been answered by the divine laugh. The divine laugh came alive and bubbled over at Easter when death’s greatest victory was stolen by the grave-robbing Spirit of God. 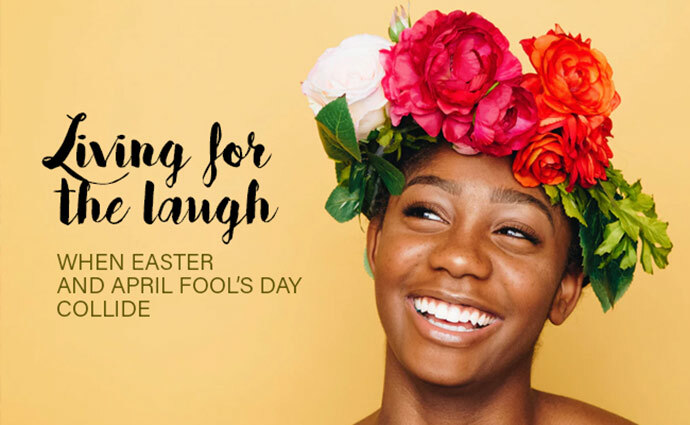 This Easter, what a perfect opportunity to celebrate that we’re all living in and through and for the laugh. 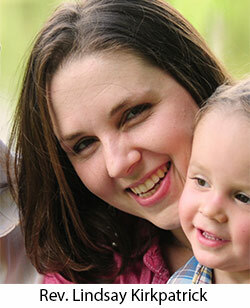 The Reverend Lindsay Childers Kirkpatrick is the senior pastor of Asbury UMC, Pasadena.